This counter-cultural challenge to mainstream reproductive medicine quietly but significantly grows. Women’s reproductive health care and deadly assaults on nascent human life are reaching new depths of scientific and medical dysfunction in the United States and around the world. Wall-to-wall news coverage and cable TV reality shows chronicle multiple-birth, in vitro fertilization adventures of all sorts. In 2010, the Nobel Prize for Physiology or Medicine was bestowed upon the man who pioneered in vitro fertilization (IVF), Robert Edwards, who is largely responsible for ending as many as 10 times the number of lives he is credited with bringing into the world. Taxpayers in the United States are now compelled to support the destruction of live human embryos via stemcell research, and state-sponsored abortions, sterilization, and contraception are now public policy promoted under the banner of “health care reform.” This cacophony of medical and scientific “accomplishments” celebrated in the mainstream media reveals a seemingly insatiable public fascination with new scientific technologies and medical protocols. Upon closer examination, much of what passes for progress produces outcomes and explanations that can only be described—charitably—as bizarre. Aldous Huxley’s all-too-prescient 1932 novel, Brave New World, in which natural reproduction is nonexistent and children are created, “decanted,” and distributed far and wide from human hatcheries, seems less a work of fiction than an uncanny reflection of modern culture. Amid the rubble of these and countless other cultural indicators, vibrant signs of life appear. Propelled by the courage of Pope Paul VI and his muchmaligned but remarkably prophetic papal encyclical Humanae Vitae—which reaffirmed Church teaching against artificial contraception—a distinctively Catholic health care movement is quietly but decisively entering the heretofore hallowed ground of mainstream reproductive medicine. 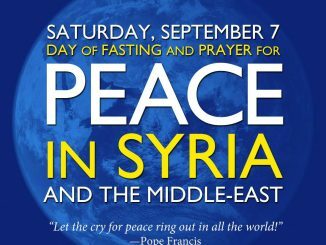 One epicenter of this movement is a medical, surgical and research facility bearing the late Holy Father’s name, the Pope Paul VI Institute for the Study of Human Reproduction in Omaha, Nebraska. The Institute is home to a new women’s health science called natural procreative technology or, more simply, NaProTechnology. With 25 years of painstaking foundational groundwork now in place, the Institute is drawing attention and support from not only the Vatican and prominent clergy, but medical and business professionals who see in its work the most potent challenge to the Culture of Death to date. Developed by Dr. Thomas W. Hilgers, MD, OB/GYN and his colleagues, NaProTechnology is based on a uniquely standardized natural system of fertility regulation called the Creighton Model Fertility Care System (CrMS). Similar in many respects to other Catholic-approved natural family planning (NFP) practices, the Creighton Model observes and charts “bio-markers” that appear throughout a woman’s menstrual cycle. And like other NFP approaches, the Creighton Model is highly effective in avoiding or achieving pregnancy. What sets CrMS and NaPro apart from other NFP methods and mainstream medical protocols is the standardized “new language” of its charting system. For the first time, this allows physicians to diagnose the root causes of a wide range of debilitating reproductive diseases and conditions, including infertility, recurrent miscarriage, and many others. Once a problem is identified, it is treated with NaPro’s medical and surgical practices. NaProTechnology represents a direct affront to the mantra of “reproductive health” so often cited as justification for abortion. While much of the attention from the pro-life movement traditionally gravitates toward abortion providers and their clinics, Dr. Hilgers suggests the origins of attacks against life come from an unlikely source. These and other pointed criticisms about the state of women’s health care are the result of interactions he’s had with thousands of women and married couples over nearly four decades. A great many patients arrive at the Pope Paul VI Institute frustrated and discouraged by their encounters with mainstream medicine. Internal patient surveys indicate that 58 percent of the Institute’s patients felt “abandoned” by previous health care providers. Dr. Hilgers traces the desolate state of women’s health care back along a historical timeline connecting directly to the legalization of oral contraceptives in 1960. By the time Pope Paul VI released Humanae Vitae in July of 1968, contraceptive use was a common and growing practice in the United States and much of the West. Like just about everyone else following the debate regarding contraceptives and related issues, Dr. Hilgers assumed the Holy Father might follow recommendations of the Papal Birth Control Commission and change Church teaching on contraception. And like just about everyone else, he was wrong. Within months he initiated a research project with other medical school students hoping to gain a better understanding of the natural methods of family planning. The project did not lead very far, but the seeds of research and curiosity were firmly planted and began growing. Then in 1973 the cultural tsunami known as Roe v. Wade opened wide the floodgates of abortion in the United States. The dissent of clergy from Humanae Vitae grew along with tension and distrust between bishops and their priests. Husbands and wives, Catholic doctors, and parishioners in the pew were divided and confused. The Culture of Death was taking a firm hold on the psyche and spirituality of Catholics and nearly everyone else. Despite ridicule from colleagues for adhering to Church teaching regarding contraceptives and artificial means of procreation, Hilgers kept searching. While serving as a resident in obstetrics and gynecology at the Mayo Graduate School of Medicine, Hilgers and his fiancée Sue met Dr. John Billings, a neurologist from Melbourne, Australia, and his wife, Dr. Lyn Billings. That meeting proved to be another transformational event. The Billingses were gifted fertility pioneers with unique insights for investigating and studying women’s menstrual cycles. After Hilgers’ marriage to Sue, the couple traveled to Australia and learned everything they could about the Billings Ovulation Method of natural family planning. Enlightened and energized with their newfound knowledge, they initiated more research projects in 1976 at the St. Louis University School of Medicine, and again in 1977 at the Creighton University School of Medicine in Omaha. Ten years to the day after the release of Humanae Vitae, the world’s first testtube baby was born. Hailed by the mainstream media as an extraordinary medical miracle, the birth of Louise Brown ushered in yet another frontal attack against the Culture of Life: the dawn of the in vitro fertilization industry. Two weeks later, Pope Paul VI died. On that very day Dr. Hilgers and Sue vowed to build a lasting memorial to the man who had inspired and challenged them. In 1985, that vision became reality when the doors opened at the Pope Paul VI Institute for the Study of Human Reproduction. The last 25 years have proved to be a remarkable sojourn. The Institute sits on Mercy Road in Omaha, and includes a 14,000 square-foot building and 24 full-time and 36 part-time medical professionals. Patient demand has always been strong, providing Dr. Hilgers the critical resources needed for research and education efforts. The Institute also hosts a state-of-the-art Reproductive Ultrasound Center, the National Hormone Laboratory, and a nationally recognized ethics division directed by Sr. Renée Mirkes, OSF, PhD, which promotes Catholic positions on family planning, reproductive/genetic technologies, stem-cell research, embryo adoption, marriage, family, and sexuality. While financial challenges have always placed a strain on the mission of the Institute, perhaps the most profound struggle has been changing fundamental thinking about women’s health care. The body of documented knowledge collected, published, and distributed by Dr. Hilgers and his colleagues continues to grow with more than 100 books, book chapters, and research articles published, in addition to dozens of audio and video presentations. A small textbook written in 1991 called “The Medical Application of Natural Family Planning: A Physician’s Guide to NaProTechnology” marked what many believe to be the official birth of NaProTechnology and proved to be particularly appealing to physicians seeking alternatives to oral contraceptives, sterilization, and artificial reproductive technologies. Physicians Healed is a book featuring the personal conversion stories of doctors who embraced NaProTechnology after turning away from practices where they prescribed contraceptives and engaged in other illicit procedures. In 2004, Dr. Hilgers completed and published a 1,250-page medical textbook titled The Medical & Surgical Practice of NaProTechnology. • It cuts the rate of premature birth by about 43 percent—significantly reducing the incidence of birth-related defects, injury and long-term care. The scientific and medical foundation assembled brick-by-brick at the Pope Paul VI Institute and since the promulgation of Humane Vitae has not gone unnoticed by Catholic Church leaders. Pope John Paul II funded the Institute with annual contributions through the Papal Foundation during much of his reign. Fulfilling a personal promise he made to John Paul II, Dr. Hilgers has made special efforts to introduce and spread NaProTechnology to physicians and researchers in Poland. An international conference held in Omaha in September 2010 marking the 25th anniversary of the Institute featured a delegation and speakers from Poland. At the closing Mass of the Conference, Polish native Archbishop Zygmunt Zimowski, president of the Pontifical Council for Health Care Workers, bestowed the Good Samaritan Medal of the Pontifical Council for Health Care Ministry on Dr. Hilgers and Sue Hilgers. The desire to instill a new enthusiasm for NaProTechnology and for Catholic Church teaching regarding Humanae Vitae is part of a concerted effort that includes the formation of young men as they prepare for ordination into the priesthood. NaProTechnology is now an integral element of a core curriculum course in moral theology co-sponsored by the Pope Paul VI Institute at Kenrick-Glennon seminary in St. Louis, Missouri. NaProTechnology is also introduced and explored in courses at St. Charles Borromeo Seminary near Philadelphia and the Pontifical Josephinum in Columbus, Ohio. For all that has been accomplished at the Pope Paul VI Institute, daunting challenges remain. At this time, there are more than 200 FertilityCare Centers featuring NaProTechnology services throughout the United States and Canada, with additional FertiltyCare Centers located in Ireland, Poland, Taiwan, and Australia. These FertiltyCare Centers might be likened to franchise locations with the Pope Paul VI Institute as the “headquarters,” to use a businessworld metaphor. FertilityCare Centers are staffed by certified FertilityCare practitioners who provide the entry point for women and couples who are interested in learning the Creighton Model FertilityCare System. Most practitioners have some sort of professional medical training prior to attending the rigorous week-long course that is required for certification. An intense process of strategic planning and development designed to help chart the future direction of the Institute and its “network” of FertilityCare Centers is now underway. This process is being led by development consultant Ellen Roy, a former executive with McDonnell Douglas who was the first woman in the history of the aerospace giant to be named president of one of its subsidiaries. Ms. Roy’s task is the development of a strategic plan to greatly expand the presence and availability of NaProTechnology, an effort that will require significant additional funding. Continuing clinical research and the dissemination of information about NaProTechnology’s scientific and medical advantages over current mainstream practices will most assuredly play a central role in this strategy. In 2008, three NaPro-trained doctors published the results of a study titled, “Outcomes from Treatment of Infertility with Natural Procreative Technology in an Irish General Practice” in the Journal of the American Board of Family Medicine. That study was followed up by another authored by Dr. Hilgers in the March 2010 issue of the Journal of Gynecologic Surgery, which focusing on surgical techniques of NaProTechnology for reconstructive pelvic surgery. Funding was recently secured to begin a new research project known as the International NaProTechnology Evaluation and Surveillance of Treatment (iNEST) study, which will be conducted under the direction of Dr. Joseph Stanford at the University of Utah. It is hoped that the results of this study will help position NaProTechnology as an accepted, peer-reviewed alternative to current mainstream reproductive practices. “I am firmly convinced that if we are ever going to have a Culture of Life again in the United States and around the world, we are going to have to convert the doctors,” explains Hilgers, who started a one-year postgraduate fellowship program designed to teach physicians the intricacies of NaProTechnology surgical techniques and medical practices. 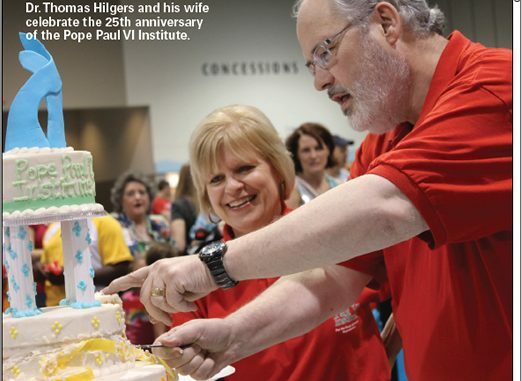 Looking back over the past 40 years, Dr. Hilgers shakes his head in wonder at what’s been accomplished, as he and others dedicated to the principles of Humanae Vitae and authentic health care for women bucked formidable cultural headwinds. But much more needs to be done. Dr. Hilgers’ vision is for what he calls a “Mayo Clinic of Catholic reproductive health care” that would include doubling the size of the Pope Paul VI Institute and the construction of a retreat and conference center. Chuck Weber is a freelance writer and film producer based in Wichita, Kansas.